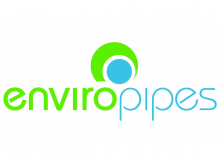 Enviropipes is recognised as a leading manufacturer of quality high density polyethylene (PE100) and polypropylene (PP) pipe systems in sizes ranging from 25mm to 4000mm for both pressure and non-pressure applications. Enviropipes is located in High Wycombe, Western Australia and is committed to using only the highest standard of raw materials to manufacture its products. Enviropipes manufacture and stock a large range of PE pressure pipe fittings to service the mining and civil industries. Just some of the range includes stub flanges, backing rings, sweep bends, tees, and moulded fittings and also manufacture non-pressure fittings to suit its sewerage and drainage corrugated pipes. Fittings are manufactured and certified to AS/NZS 4129. Enviropipes also specialises in the fabrication of PE pipework/custom made fittings and is able to work with its clients offering flexibility at high production rates. Enviropipes staff have many years of experience in the construction and manufacturing industry which enables them to work with its clients and find solutions for them. Enviropipes’ quality management system is accredited to AS/NZS ISO 9001. Inspection procedures ensure pipe and spooling is dimensionally accurate and conforms to customer drawings and specifications.